In this blog we discussed Renaissance Innovations of many companies, small and big, old and new. Some of the startups we have already covered are Diapers.com, Objective Logistics, Amazon.com and many others. I hope that our blog makes it quite clear that the ideas of Renaissance Innovation method apply equally to startups and established companies. However, in this post I wanted to focus just on startups. The approach that is gaining a lot of momentum and good publicity is called “The Lean Startup“, most recently the new book debuted as #2 on the New York Times bestseller list. On the surface, this sounds like doing something on the cheap. These who know something about operations management will also recognize that “lean” is synonymous with Toyota Production System which has little, if anything, to do with startups. However, after reading the book I was struck by how much The Lean Startup approach is consistent with the Renaissance Innovation ideology. So what is the Lean Startup about? The book argues that any startup company cannot possibly know in advance who its customers are, what are the key features of the product and how much it can possibly cost: there is too much uncertainty in all of these aspects. So instead of trying to raise a ton of money for an unproven business model, the author argues, entrepreneurs should try, step by step, understand both the customers and the capabilities of the firm through controlled experimentation and validation. This is very consistent with the ideology we explained in our Harvard Business Review article. As we argued there, both existing companies and in particular startups, face numerous uncertainties about their Business Models and so some of the best innovations can be done by managing these uncertainties. For a startup, for instance, nobody can predict with any precision what the revenue model and the cost model is going to be, and numerous spreadsheets won’t help resolve these uncertainties, but experimentation will. These ideas are very bold and novel for entrepreneurial community: most MBA students I taught at Wharton and INSEAD believe that startup founders have a great idea that they push throughout, no matter what, by convincing venture capitalists to invest millions. Eric Ries, the author of the book, provides convincing examples and arguments that this is exactly the wrong approach: even some of the most famous startups of our days completely altered the original ideas of their founders after finding that customers do not value what they had in mind, or that the original idea was not economically sound. Eric coins the term “Minimum Viable Product” (MVP) – a stripped-down version of whatever the startup wants to create, which is used to test assumptions and hypotheses without excessive waste. After building the MVP, the company needs to experiment, measure outcomes, and learn from them. This may not sound counter-intuitive, but companies, in my experience, very rarely experiment. Most of the time management picks one idea out of 10 and supports it fully even if it is clearly failing. The Lean Startup approach would say: test all 10, learn and move on. Experimentation is, indeed, at the heart of the Toyota Production System, even though few people are familiar with this aspect of it. 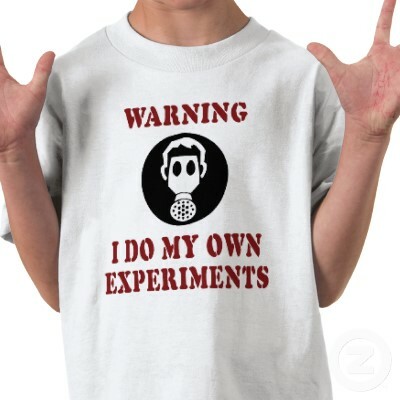 Careful design of experiment by itself is a big and complex topic which we will cover separately at some point. But the key message I want to make here is that, like Renaissance Innovation method, The Lean Startup approach is all about managing and reducing uncertainty. Perhaps in the case of startups these two approaches are even more pertinent than in case of Business Model Innovations for an existing company because startups often have much more uncertainty. Bottom line is: this is a great book and a must-read for anyone interested in innovation. Kudos!